An artist-shaman, an English teacher and a judge find their lives transformed by the beauty and spiritual influence of the Cariboo-Chilcotin. 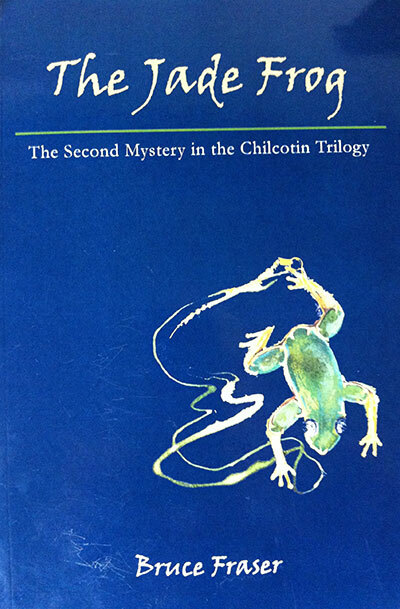 Spanning decades and vast territory, Bruce Fraser’s sequel to On Potato Mountain brings together disparate worlds as the law and shamanism vie to find a murderer, with the only clues the book that prompted Johanna Kent to reveal her darkest secret and her talisman, a jade frog pendant whose origin she’s hidden from even her husband, Malcolm. Noah Hanlon knows the secret and the land, but will that be enough to find the killer in time?